Yes its been some time since I’ve posted on our travels, mainly because we’ve been predominantly in one place and very, very busy with working and day to day life, except for a bit of a side trip down the Great Ocean Road and over to Tasmania, but I’ll get to that in a different post. 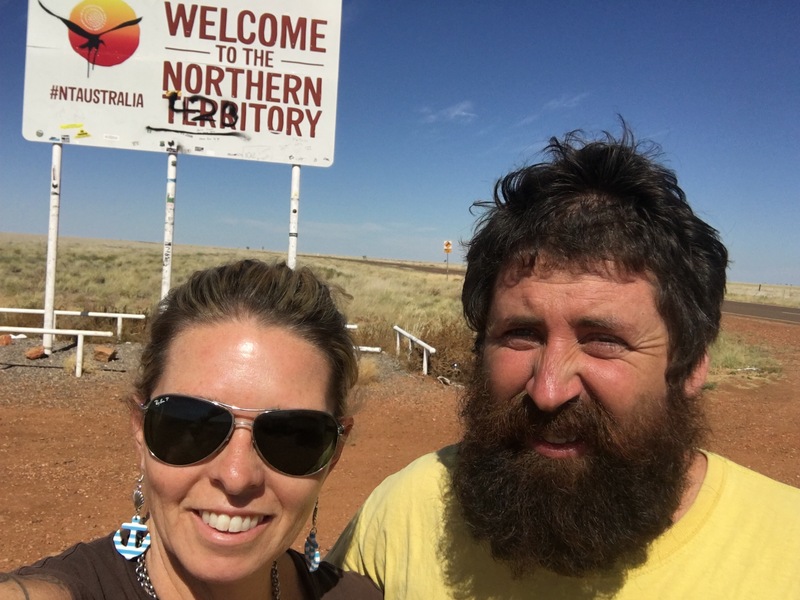 In mid December we, very quickly, traveled from Queensland, through Northern Territory and back into South Australia. 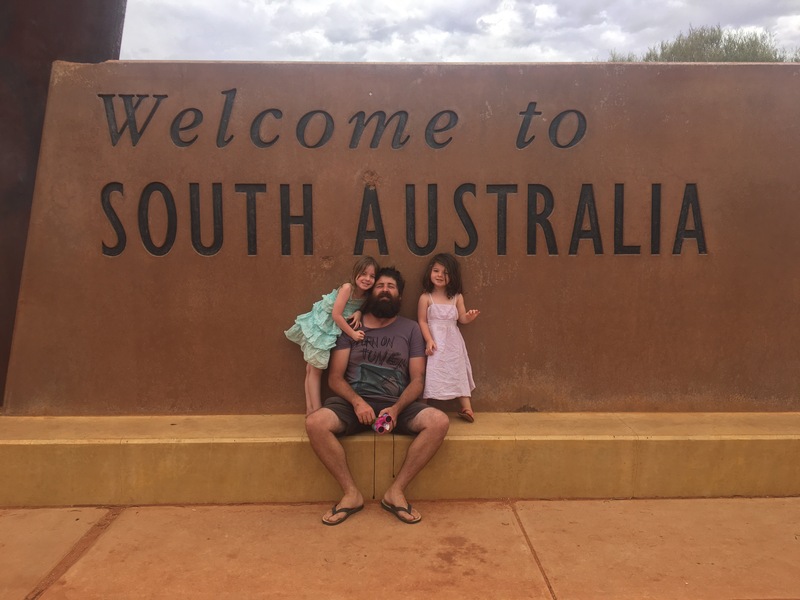 It was with some trepidation that we crossed the South Australian border because although we knew the opportunities that awaited were great, we weren’t really wanting to stop travelling. 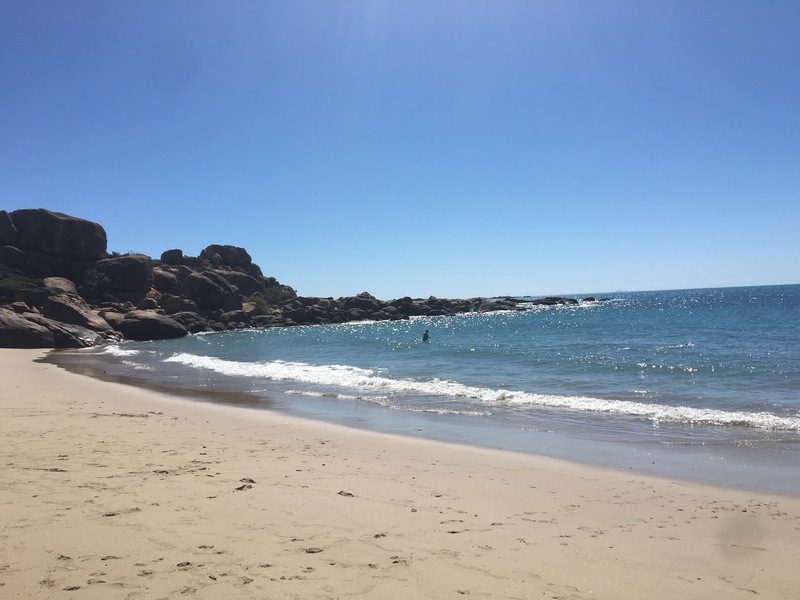 However, as the hillibillies rolled into the tiny seaside town of Port Vincent on the Yorke Peninsula, we were ready to roll up our sleeves and dive into a few months hard work managing a small caravan park with owners Mark and Sharon. In no time we were flying solo and doing everything there was to ensure the day to day running of the park. With a very brief slow time, we found ourselves in the thick of the summer holidays and from Christmas to Easter its been all hands on deck! Port Vincent Caravan Park and Seaside Cabins is on one of the best beaches on the Yorke Peninsula to rake for blue swimmer crabs. During the warmer months, just grab a rake and a bucket and head out in the low tide to catch crabs! Just make sure your wearing shoes or you might get your toes nipped. The town also has an amazing sheltered swimming beach and we have been very fortunate to have such a great experience working here this summer. Also in this time Avalon has started at the local kindy and has loved being able to make some friends. Her development and grasp of starting to learn has also been incredible in this time. While we were spending some time with her on letter and number recognition, since starting kindy she has come so far. Marla has also yearned for something and kept asking to go to ‘baby kindy’ but unfortunately with no local child care and no time to take her to playgroup, she has had to follow behind mum and dad while we work. We have loved our time in Port Vincent and were seriously going to commit to being here longer, however the travel bug has bitten us hard, which our little trip to Tasmania made us realise. Also, we didn’t think the girls were getting as much of our time as they need, so we’ve made the very difficult decision to keep moving. In the next couple of weeks we will pack up again and move on to the next destination. Recently another mum asked me for advice on whether or not their family should pack up and spend time travelling. Of course I told her to just do it..
A little more than a year ago I remember asking friends that exact same question. 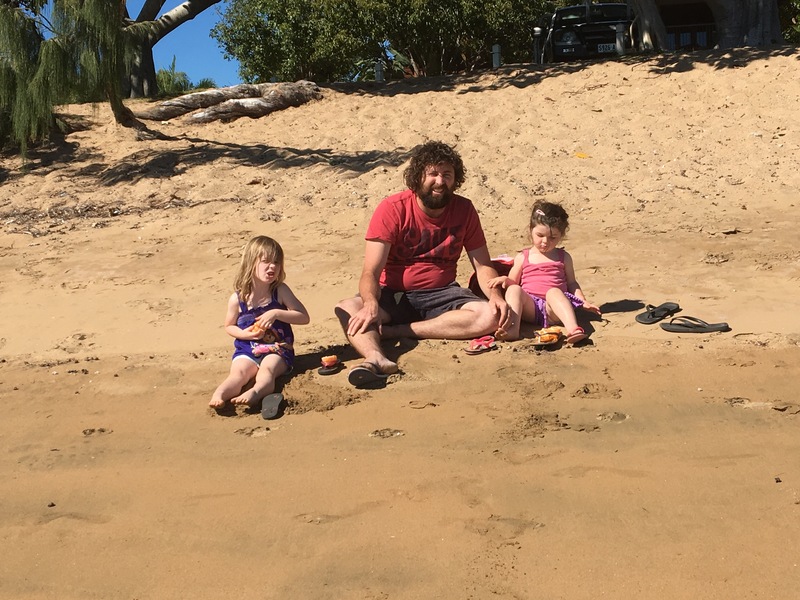 I was feeling scared, nervous and unsure about whether or not we were doing the right thing for our children, and our family, by packing up all our belongings and moving into a teeny tiny space for an uncertain amount of time to travel. I was nervous because we hadn’t really planned anything out and I was scared because we were jumping into the unknown. Pretty normal feelings when you are making a big decision as a family, just like selling a house, moving to a new place or any other life changing event. One of the biggest perceived barriers to travelling long term with children is around ensuring the children continue to receive an education, however there are so many ways to manage this, it really just depends on what suits each individual family. Obviously this is not an issue we have had to deal with yet but the time is looming that we need to make a decision around how to begin our children’s education path. At the moment we are managing a caravan park on the Yorke Peninsula in South Australia and we have decided to enrol Avalon into the local kindergarten for the start of the school year so she begins to get the structure and discipline that regular school attendance can give. Obviously while on the road this is not always an option and we’ve met many families on our journey who are also travelling with children. Most families use distance education which is attached to a state based Department of Education and a distance education teacher who manages their courses, however some families have opted to follow the world schooling theory as well. 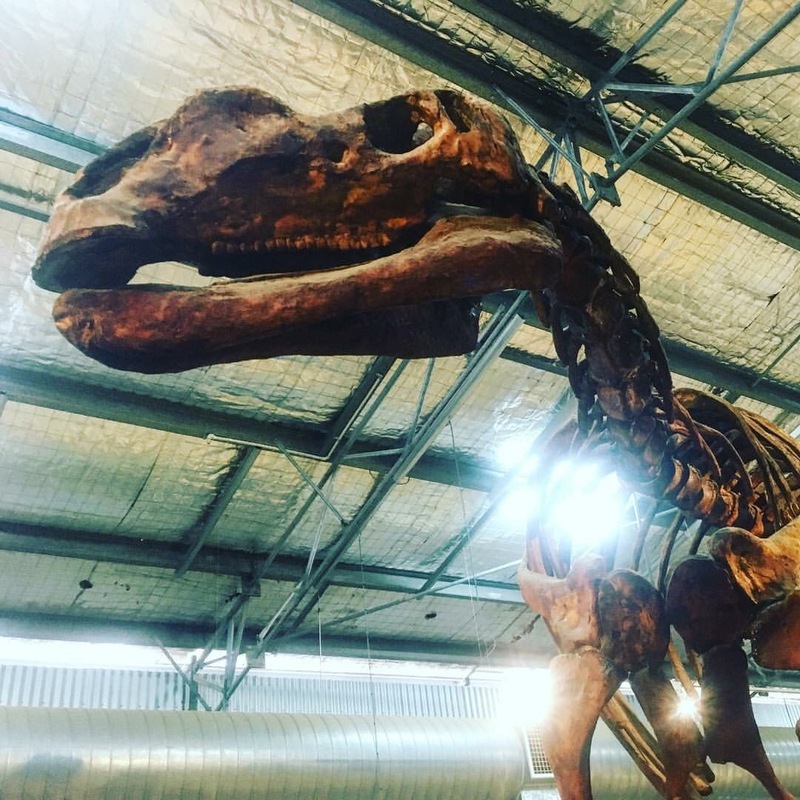 some of the many things the girls have learned about on our travels so far..
Funding your trip is another perceived barrier and again, depending on the type of trip you are wanting to do there are many different ways to do this. Whether you do what we do and work for a few months then travel a while to your next work stop, or you have enough money to fund the whole trip up front. I believe there is nothing that can stop you embarking on extended travelling if you are creative about how you solve any perceived barrier. If you really want to travel with your children (or without them) then, while it seems simplistic, you just need to make it happen. Looking back on our time so far I wouldn’t change one single thing about our experiences. Yes we’ve had challenges but those challenges have helped shape our experience, and experiences become memories. Isn’t that what this whole adventure is ultimately about? So if anyone is reading and pondering such a decision my advice is to ‘just do it’. You can never regret making memories with your children and you will never get this time back with them. 28th December 2016. It’s exactly 12 months today since the day we loaded everything onto the ute and a trailer, just like the Beverley Hillbillies, and with much excitement and many more nerves set off for adventure. I’ve said before the last 12 months have been some of the best times of my life, and some of the most challenging. 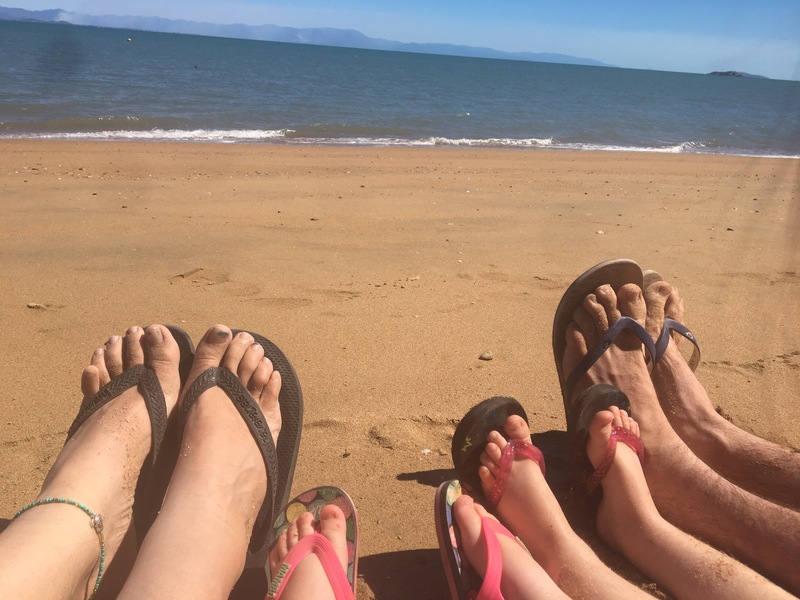 While we haven’t got anywhere near the distance we planned on travelling in kilometres, I I feel like distance we’ve come emotionally, and the experiences we’ve had have had unbelievable benefits for our family. I don’t believe my and Dave’s relationship was ever in danger before we left home, but now we have moved to a very different place as a couple. We are far more of a team than ever before. 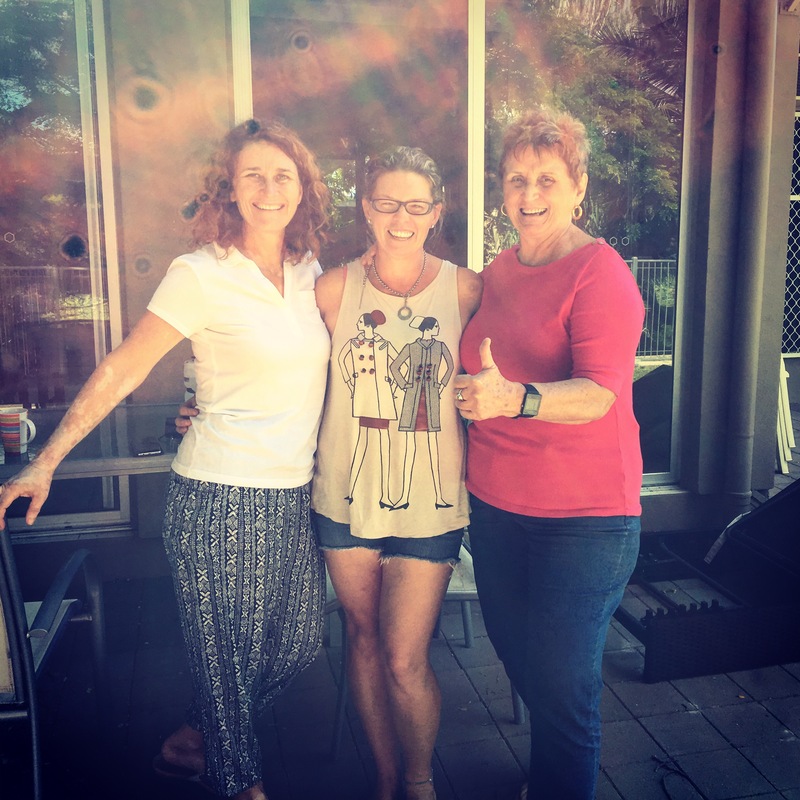 I never really believed before we travelled that we could successfully live and work together without conflict, but here we are managing a caravan park together and making plans on a future that will see us working together long term. As far as the girls are concerned while they are still very young, the obvious changes in them are huge. Apart from confidence, they have developed a sense of themselves that I don’t think would have been quite as developed if we had stayed in one place. They now understand that the world is more than their place in it and they appreciate difference in places and people. They are more resilient and are able to cope with way more than we would ever have expected them to previously. We’ve really thrown them in the deep end on more than one occasion and they’ve surprised me with their ability and independence. Another family about to embark on a similiar trip recently said to me they weren’t sure if they were doing the right thing by their family, or their kids. I remember saying these exact same words 12 months ago. I can honestly say doing this trip has been the best thing we could have done as a family. Before we left we were feeling like we weren’t achieving anything and while we weren’t unhappy, we weren’t happy. 12 months in, we are now back in South Australia for 3 months for work. We are managing a gorgeous little caravan park right on the beach at Port Vincent, on the Yorke Peninsula. Once we finish working here we are heading off on the road again and will be travelling to Tasmania for a few weeks where we will incorporate going to the wedding of a very dear friend. I also have a number of other people to catch up with there from when I lived and worked in Launceston a few years ago. Before then we will be making some big long term decisions about where to next and putting in place strategies to achieve what we want, but regardless of what that decision will be I am now confident that as a family we are in a much better place than we were this time 12 months ago and can achieve whatever we want to achieve. So to those other families, singles, couples, older people or whoever, who are thinking about embarking on an adventure that scares them.. close your eyes, take a deep breath and take the step forward. Don’t talk yourself out of it – “wanderlust isn’t about running away from it all, its about experiencing the outside to discover what’s inside”. Wow what an incredibly amazing landscape sits in the centre of Australia. 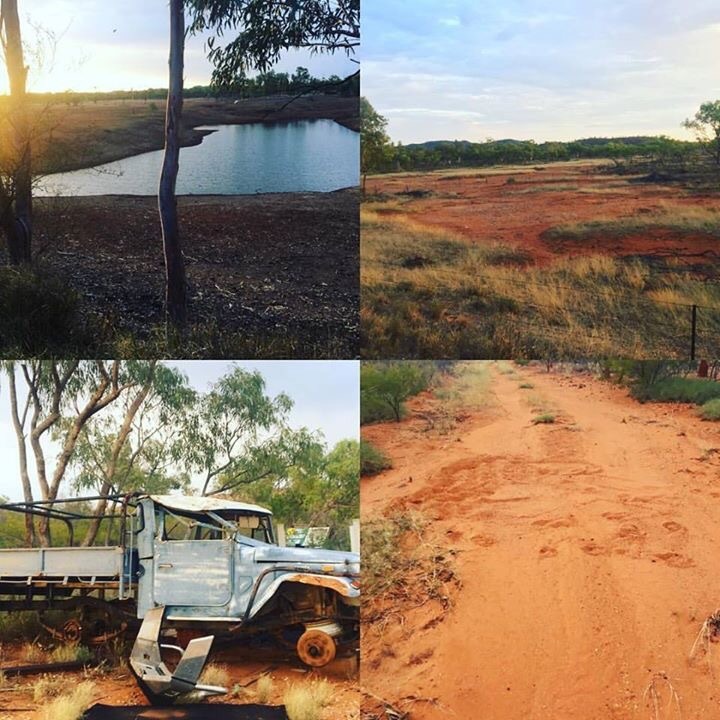 I have seen the desert and the outback before but never have I felt such emotion when I’ve arrived somewhere as I have in the Northern Territory. 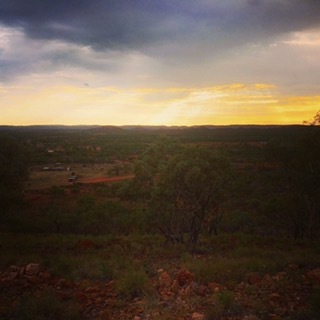 Our first day was the realisation of just how vast the land is. 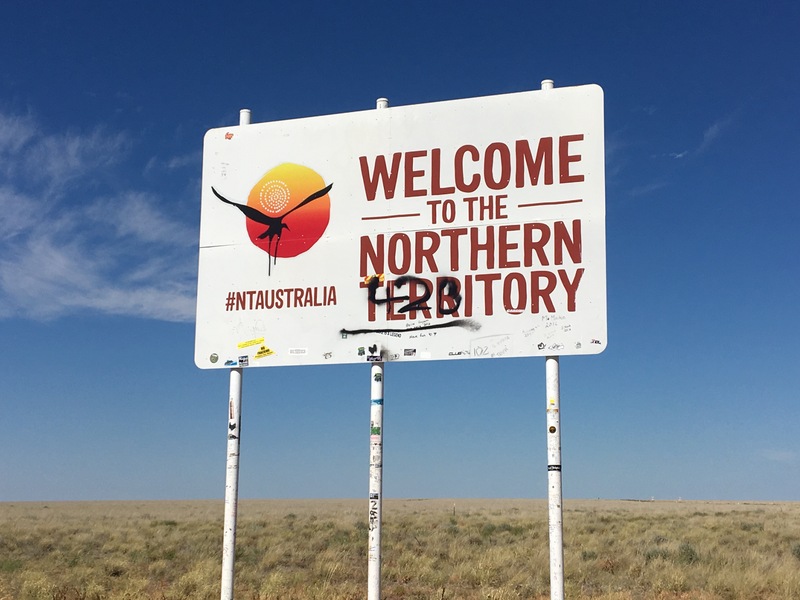 We have been travelling for a while and obviously know how large the distance can be between towns in Australia, but NT is a whole lot bigger again. 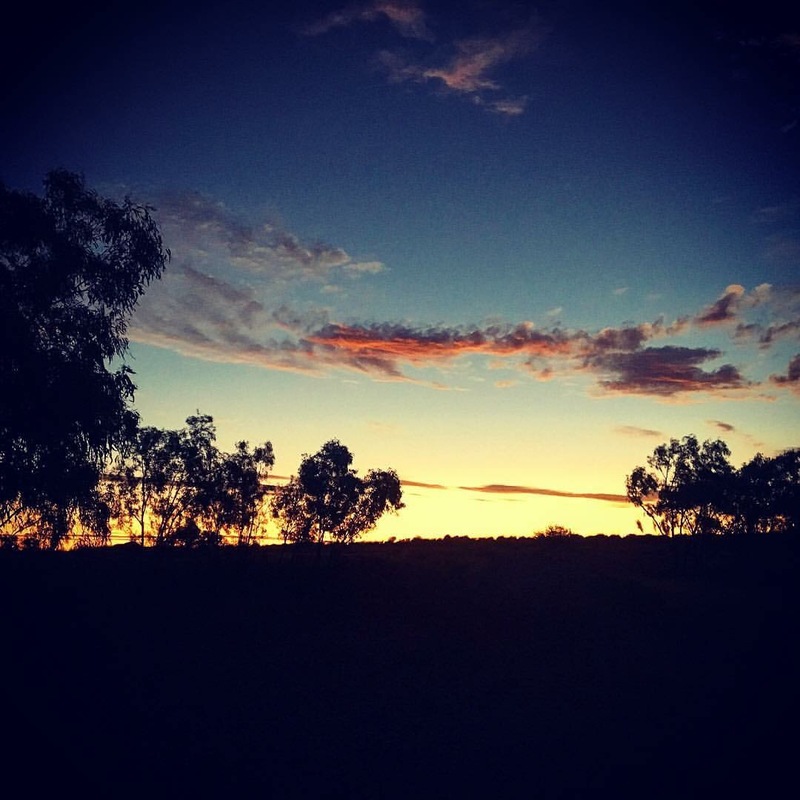 Once you cross the border there is nothing for several hundred kilometres but the beauty of the land, until you reach the Barkly Homestead. After that it’s a few hundred more kilometres to the turnoff onto the Stuart Hwy, which runs the whole way down the centre of the country. Tennant Creek is just after the turn off where we stopped for a few supplies then drove an extra 100km before setting up camp for the night at the Devils Marbles. I was expecting 5 or 6 big boulders. What I saw as we drove into the park was jaw dropping. 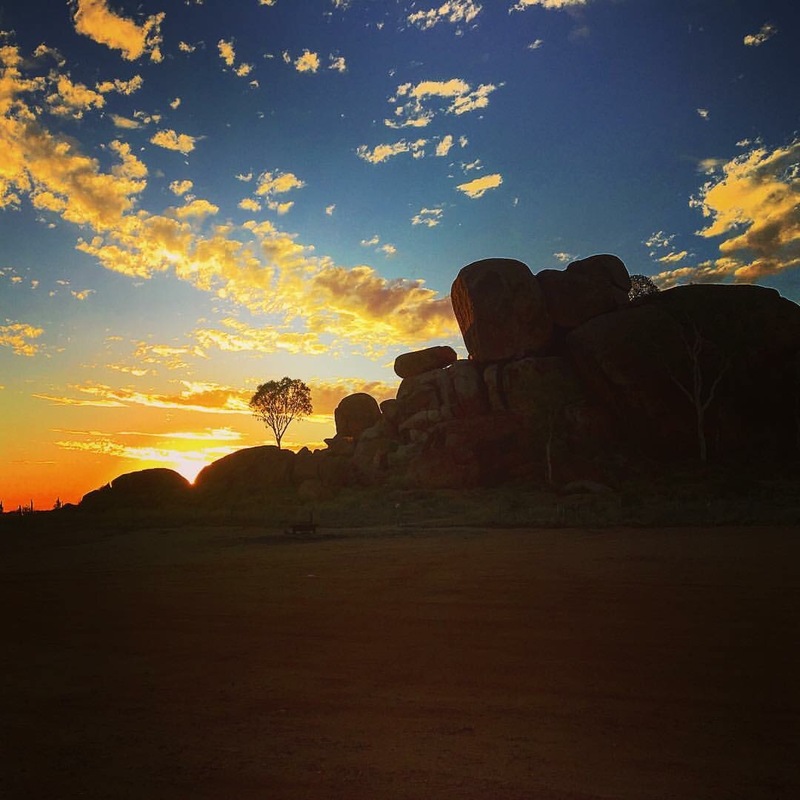 Devils Marbles was a place the local Aboriginal people used as ceremonial meeting place. There are some fantastic markers that tell some of the stories of the area and the ceremonies that took place. What an amazing privilege to be able to camp right amongst the Marbles and experience the beautiful sunrise and sunset, and be able to explore the park. While we are travelling during the heat of an approaching summer, it does mean there are no crowds in these amazing locations. From Devils Marbles we stopped for fuel at the quirkiest roadhouse I’ve ever seen, with the cheapest fuel we’ve seen in weeks! 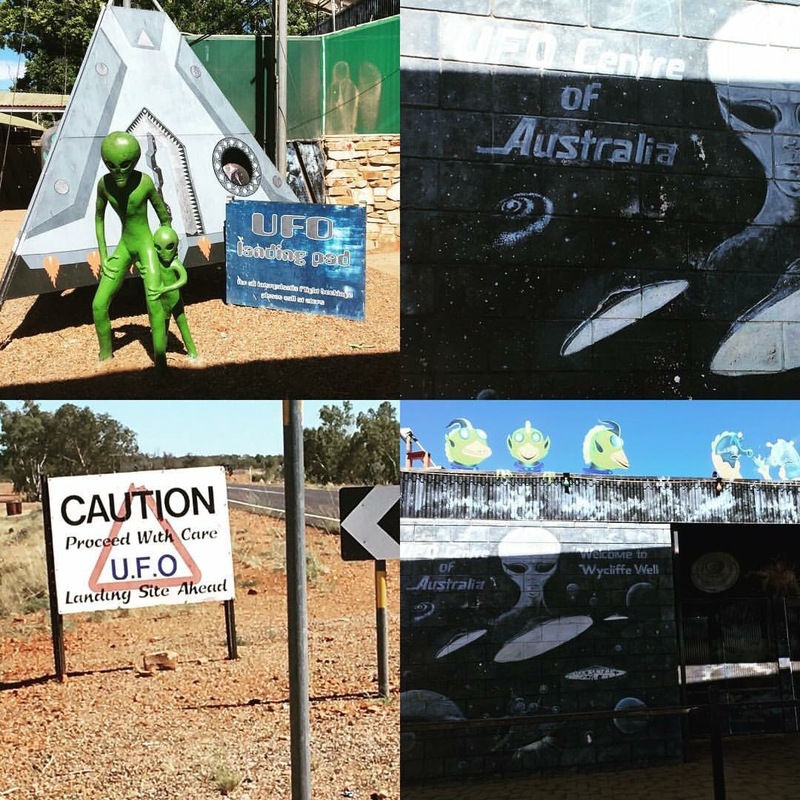 The Wycliffe Well roadhouse prides itself on being the alien centre of Australia. Wycliffe Well’s association with UFOs started during the World War II when servicemen living in Wycliffe Well started keeping records of nightly-seen unidentified objects. Somebody got hold of this book and a legend was born. Reportedly, the original journal was kept on the front counter of the local restaurant for everyone to see, but was stolen in 1990. Since then a new book is kept which includes possible sightings from the early 1990s. The truth is out there. Our next stop was Ti Tree which is a tiny town on the highway with a population of only just over 150 people. We had a quick lunch stop at the park and then continued on. 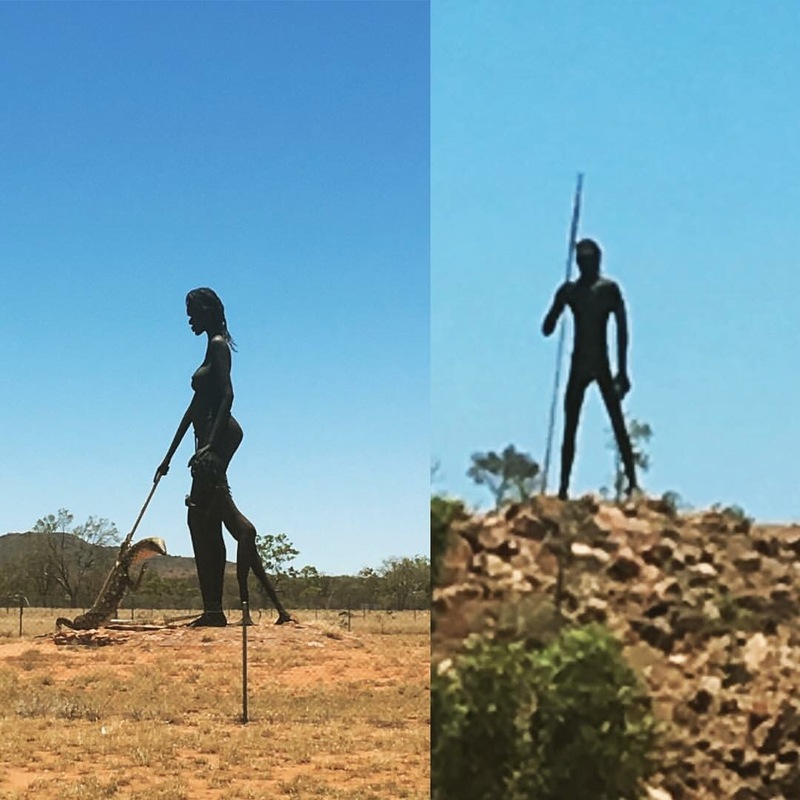 Another brief stop at Aileron where we took photos of the ‘Anmatjere Man’, which was erected in December 2005 and stands 17 metres tall, giving him a birds eye view of the surrounding area. in 2008, sculptor Mark Egan created a family for ‘Anmatjere Man’ who now has an equally impressive wife and child. As well as discussing these amazing sculptures, there may have also been a discussion here about getting some fuel. Discussion ended with, “no babe we’ll be right to make it to Alice”. We made it to Alice, but only just! 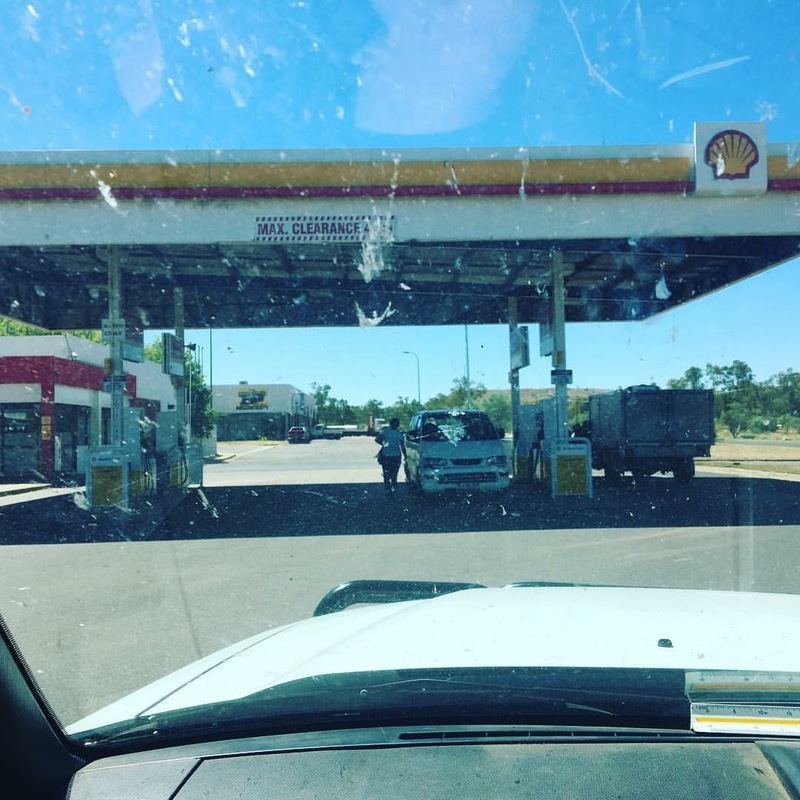 Running out of fuel 50metres from the bowser while waiting for someone to jumpstart their car. That’s the type of adrenaline rush I don’t need. I want to also just pause here to remember the French couple who were attacked at a roadside camp outside of Aileron only 24 hours after we passed through this same area. My heart breaks for this woman who now has to travel home without her husband. This is tragic and makes us remember while 99 percent of people are good there are still dangers we need to be alert for, especially in some areas where help is not just around the corner. Our first night in Alice Springs we stayed in a campground at the back of a hotel. I’m not going to name this site because it’s been the worst campsite we’ve seen on our trip thus far. Our next few nights were spent in almost luxury though as we stayed in the granny flat at Dave’s uncles house. It was lovely to see some familiar faces and have a great base to explore Alice from. What a fantastic town. The impact the indigenous people have on the town is beautiful. There is such amazing art and cultural experiences all through town. 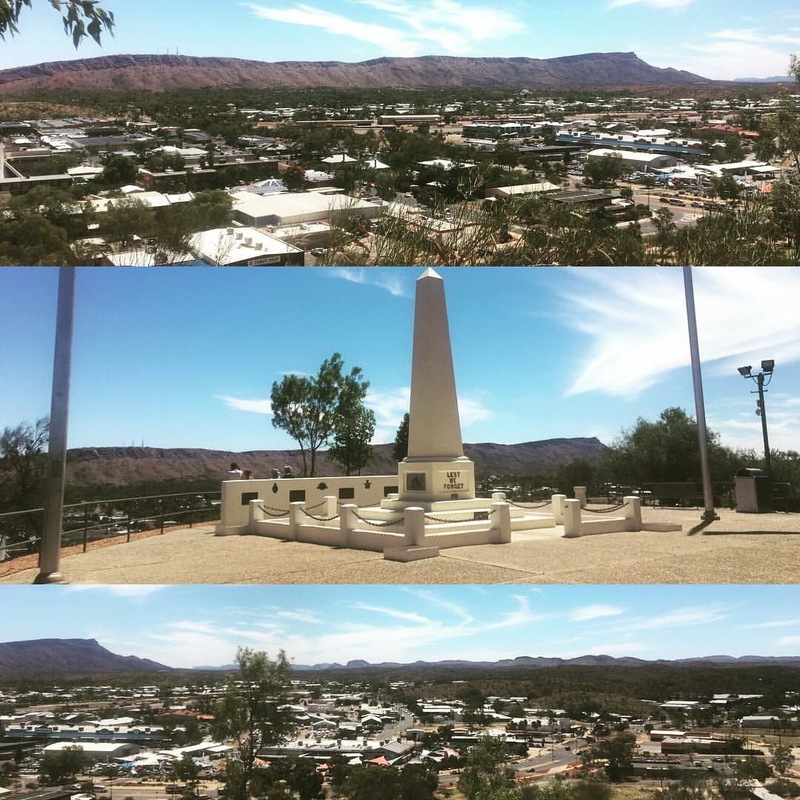 While in Alice we went to Simpsons Gap which is an amazing place only 15km out of town. Simpsons Gap is in the West MacDonnell Ranges and is home to a colony of the rare black-footed rock wallaby. 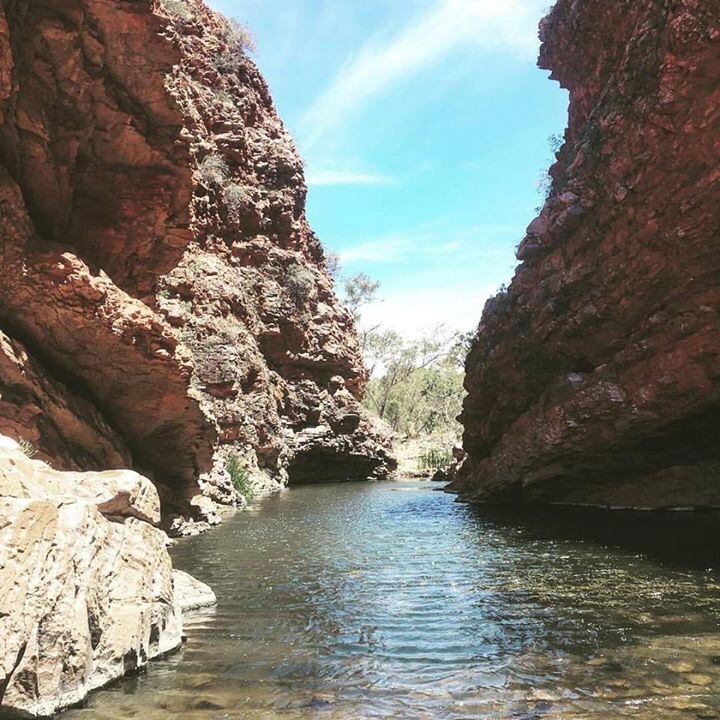 It’s also an important site for dreamtime stories, has some amazing hiking trails and is part of the bigger Larapinta Trail. We walked to the gap itself and then did another smaller walking tail which gave a beautiful view of the national park. I was so proud of Avalon and Marla for walking so far on the tracks here. Especially in the desert heat. That afternoon we visited the Australian Overland Telegraph Line. This was a 3200 km telegraph line that connected Darwin with Port Augusta. It was completed in 1872, allowing fast communication between Australia and the rest of the world, mainly to allow communication with England. The Telegraph Station was the hub of activity in the emerging Alice Springs until its closure for upgraded facilities in the 1930s. Managed from South Australia a team of 500 men laid the wires and built the poles to stretch from Darwin to Port Augusta in 3 teams. One team from Port Augusta working up. One from Darwin working down and one starting from Alice to go in each direction to meet the other teams. It took 2 years to build the infrastructure and then another 10 to upgrade it all. 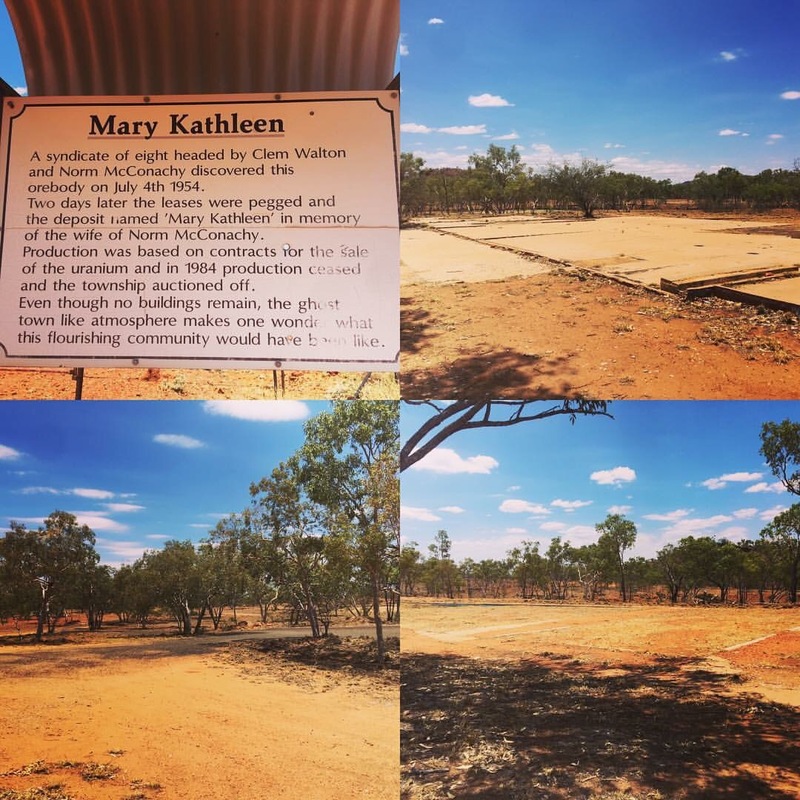 After its closure the telegraph station was also used as an education centre for aboriginal children; a wartime army base during World War 2; and an aboriginal reserve where many children from the stolen generation were housed until 1963. On Thursday we visited Desert Park which was fantastic. 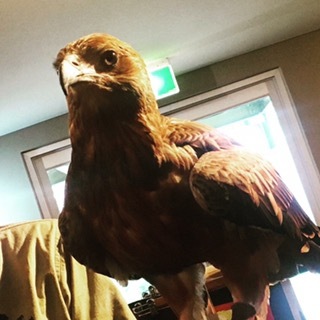 We got to see some amazing big birds of prey up close, some weird and wonderful reptiles and other nocturnal desert animals in the nocturnal house. 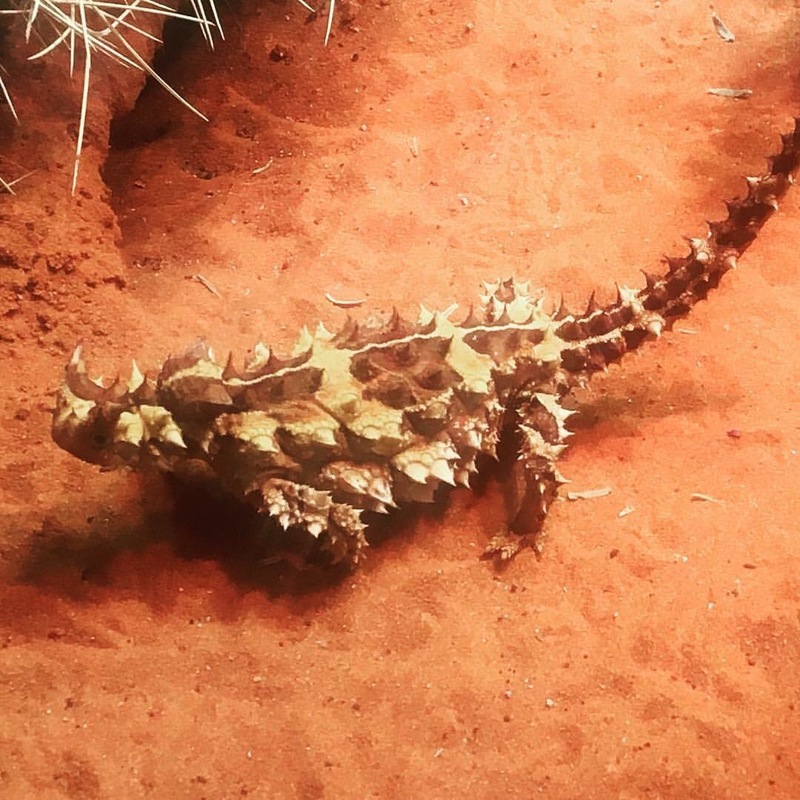 Desert Park is a great place to learn about the different seasons of the desert and the way it changes from the wet to the dry. Friday we packed up again though and drove another 500+ km to Uluru. I have never had the opportunity to visit here before and it’s been somewhere I’ve wanted to desperately see. 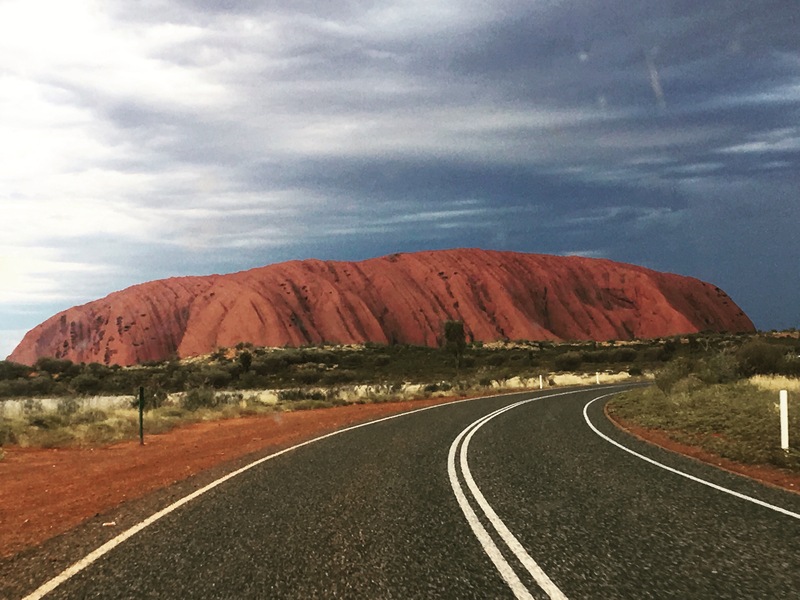 As we drove down the Lassiter Highway past Mt Connor and closer to Uluru I felt myself getting overwhelmed with emotion. I was driving, everyone else was asleep and I was lost in the music shuffle on my MP3. Music has such an emotional impact and as it does the perfect song came on as the landscape started to show itself. 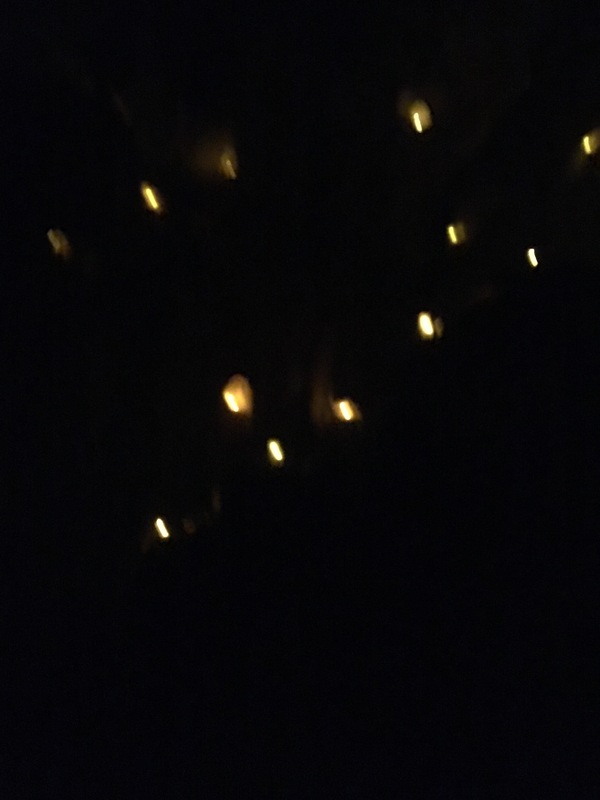 The Waifs, Take It In, began to play when I realised this was an incredibly important moment in my life. We camped at the campground at the Ayers Rock Resort which is a bit of a mini city set up just for tourists to visit the rock. It has anything you need. We set up camp, went for a quick swim to cool off then went to watch the sunset over Uluru. 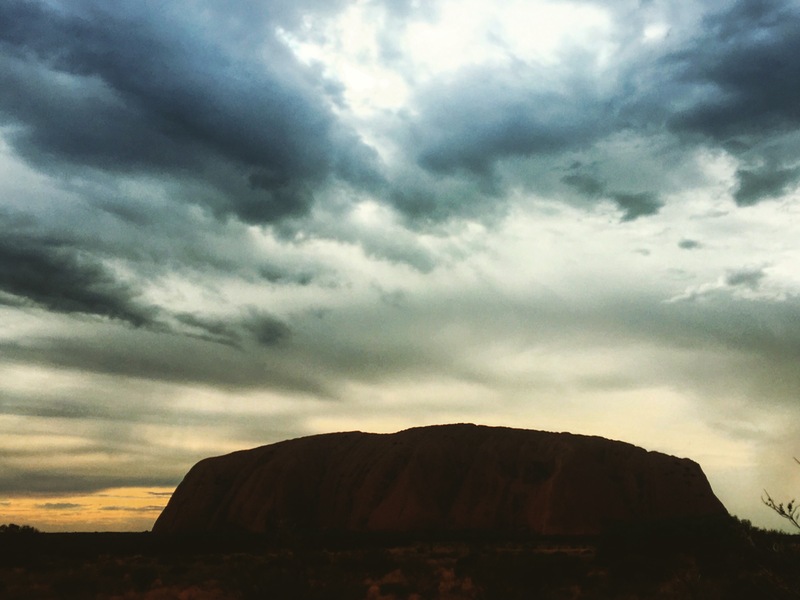 When we drove into the Uluru- Kata Tjuta National Park and we finally got a full view of the most famous and iconic image of Australia we were pretty excited. Although I don’t think the 4 and 2 year old got the memo about the magnitude of the rock we were gesticulating at them to look at. “Girls can you see the big rock” “yeah mum it’s a big rock, I’m hungry what can I eat”. Sunset was amazing and eventually it was time to go home and feed the children. The next morning though I got up on my own before sunrise and headed back out to watch the sun come up and to tick a major item off my personal bucket list. 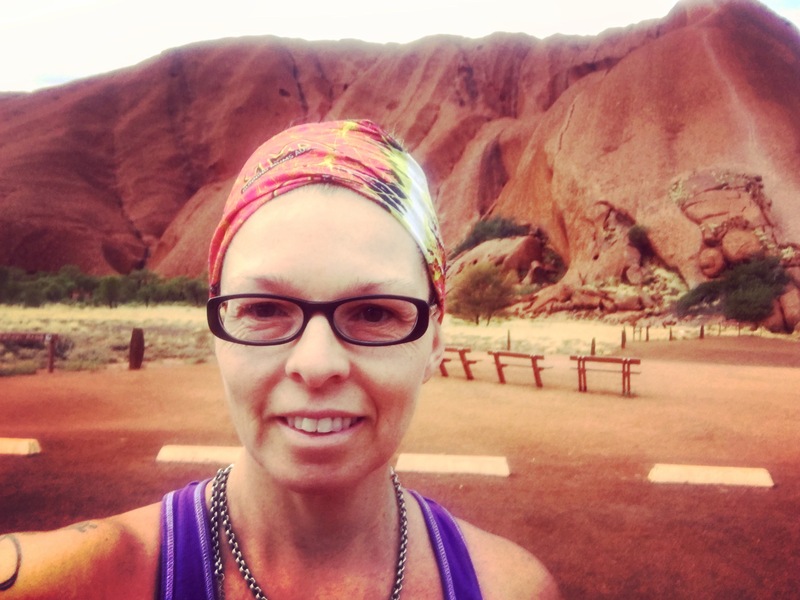 To run around the base of Uluru at sunrise. At 10km it’s not a long run, or particularly difficult, as it’s flat with a good track but it was a run I’ve wanted to do for some time and I was lucky enough to be the only person on the base Walk track for the first few km which gave me lots of time to reflect on where we were as well as everything that we’ve experienced over the last year. This last year has been the best year of my life. I’ve lived a life of experiences in a short time and shared them with the 3 people I love the most. The next chapter of this adventure will be back in South Australia for a short time. I have very mixed emotions about being back in South Australia. I love it in SA but it doesn’t feel like home anymore. We have 3 months at Port Vincent on the Yorke Peninsula managing the caravan park and then we will be making our next dreams come true. 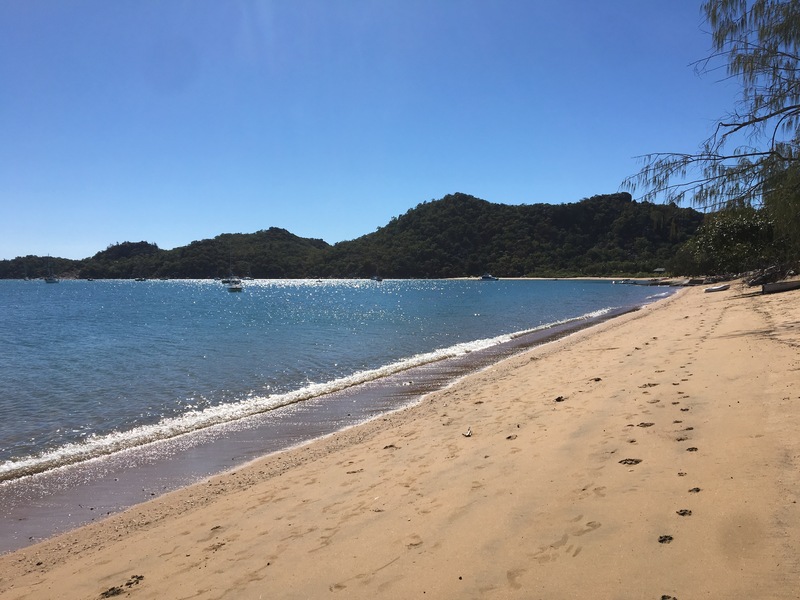 In beautiful Bowen in the Whitsundays is Horseshoe Bay, one of the most popular spots to swim, snorkel and lap up the warm winter sunshine. 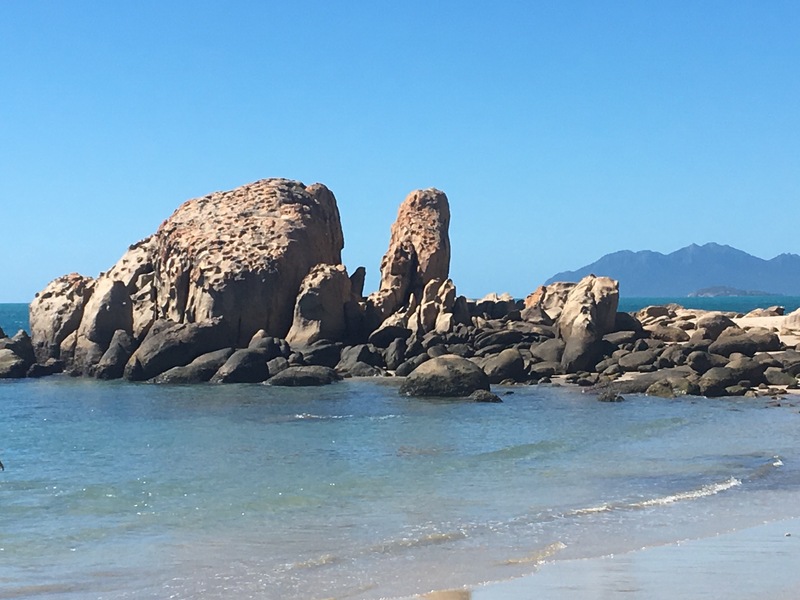 We stopped in Bowen for a few days mainly because some friends we met while we where working in Emerald earlier in the year are in Bowen working. Ian and Wendy are from the Riverland in South Australia and quickly became good friends, adopting our girls as their grandchildren away from home. It was great to cross paths with them again and trade travel stories and gossip about the few months since we had seen them. 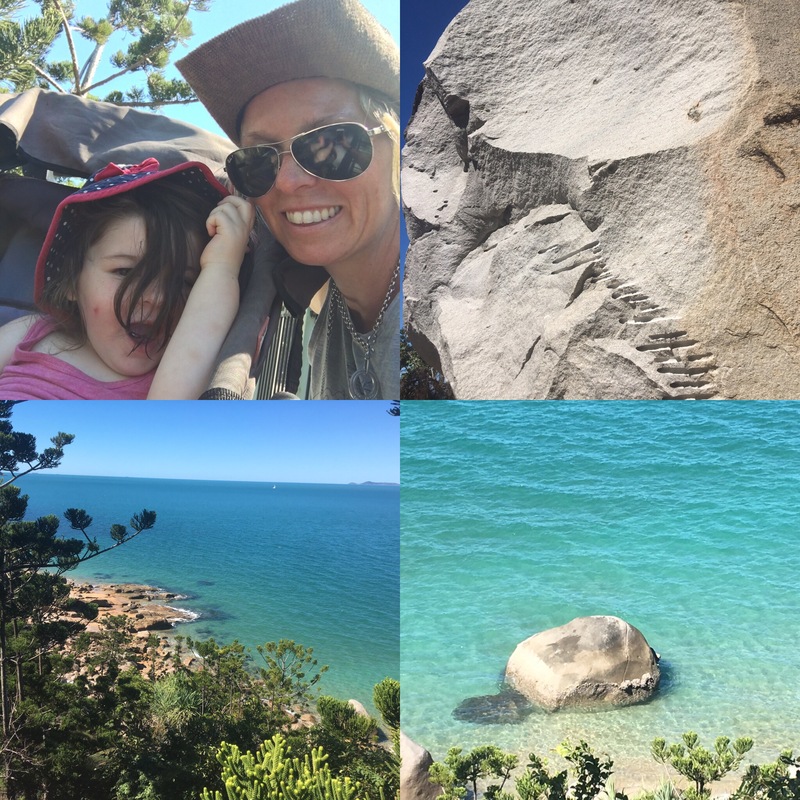 Our time in Bowen was great, there is a cute market on Sundays and we spent time exploring a few of the beaches. 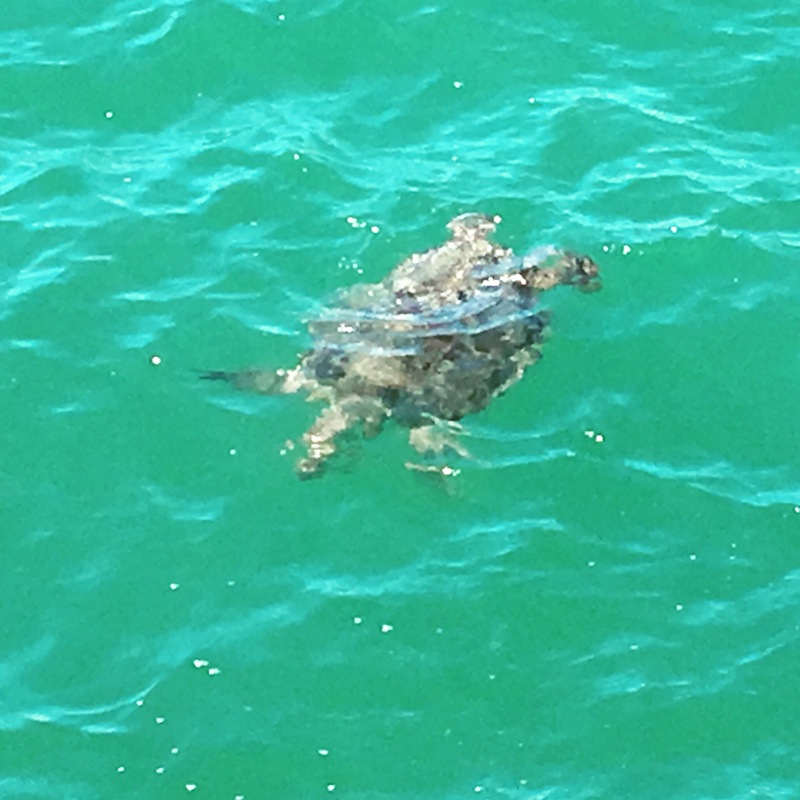 The Bowen Jetty on the main beach is a great spot to watch sea turtles from up close, and Ian and Wendy even spotted a Dugong off the jetty a couple of weeks ago, but no such luck for us. I managed a pretty good run around the beaches and up to the lookouts. What an amazing view, especially from the World War II bomb lookout, which was a great little track with some rock scrambling. The most amazing view though is from the Flagstaff Hill Lookout. 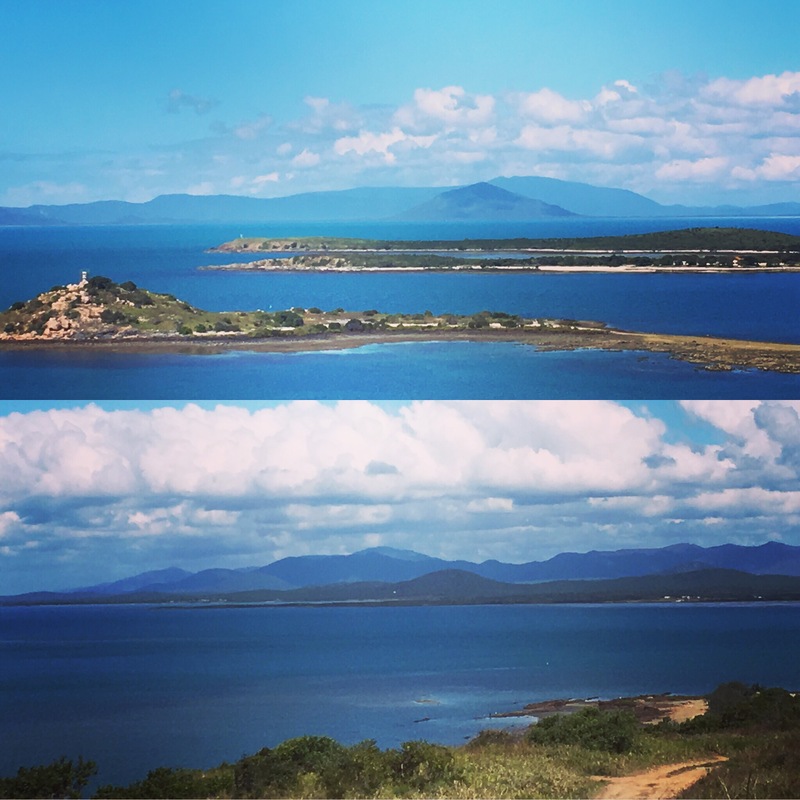 An incredible 360 degree view across the Whitsundays and across Bowen farms. I’m told it’s a great spot for whale watching, but despite searching we weren’t lucky enough to see any. 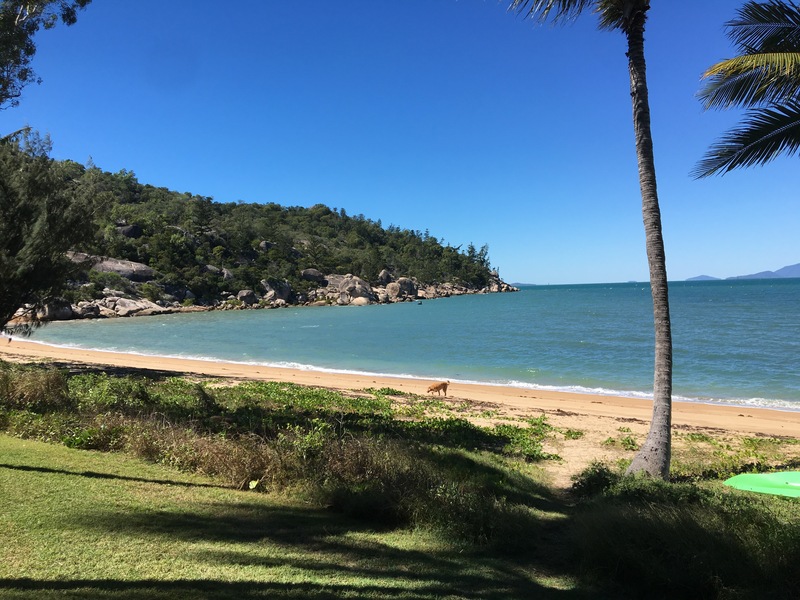 From Bowen we travelled a bit further north to Townsville and unhooked the caravan at my aunts house before heading to the ferry to travel to Magnetic Island. 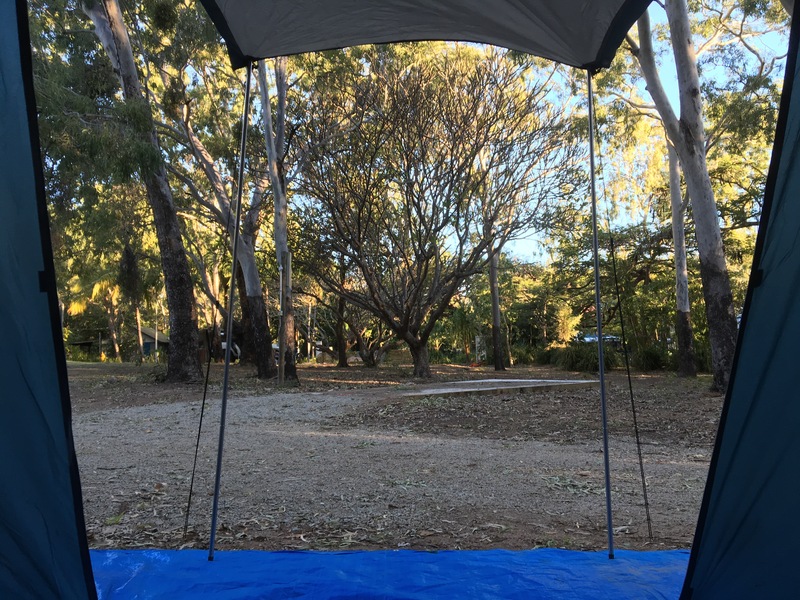 We camped in the tent at the Bungalow Bay Koala Resort at Horseshoe Bay. Horseshoe Bay on the Island was just amazing. The water was warm and clear and hardly one was on the beach. With only limited time on the island though we wanted to make sure we saw as much as possible. What an amazingly diverse place for what is really quite a small island. The sheltered Horseshoe Bay felt so different from the wind blown ruggedness of Westpoint. 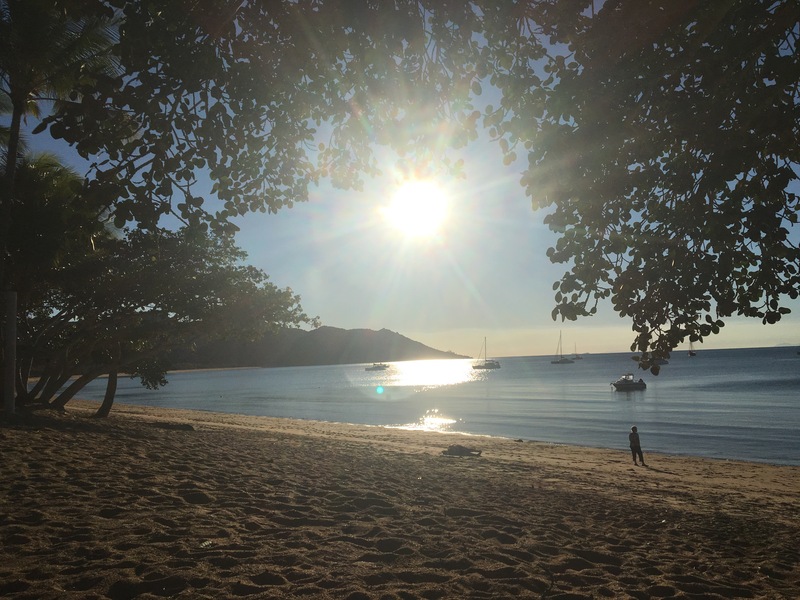 I highly recommend a trip over to Magnetic Island with any stop in Townsville. After not long enough here we headed back to the ferry and back to Townsville for a week to catch up with my aunt and cousin and have a few days of down time to clean out the car and do a bit of a clean up of the caravan, while figuring out what our next step would be. We are at a bit of a loose end for a few weeks. We don’t want to head too far north just yet because we have been offered an amazing opportunity to look after the Platypus Bush Camp for a few weeks while Wazza has a well earned break. He is not quite ready yet so we’ve decided to head back towards Bowen and try and pick up some fruit picking work if we can. So here we come back to Horseshoe Bay! Around 80km west of Mackay is the Eungella National Park, thought to be the longest continual stretch of sub-tropical rainforest in Australia. The area is renowned for being one of the best places to spot the elusive platypus. On the edge of the national park in the Finch Hatton Gorge is one of the most amazing camp grounds you will ever come across. 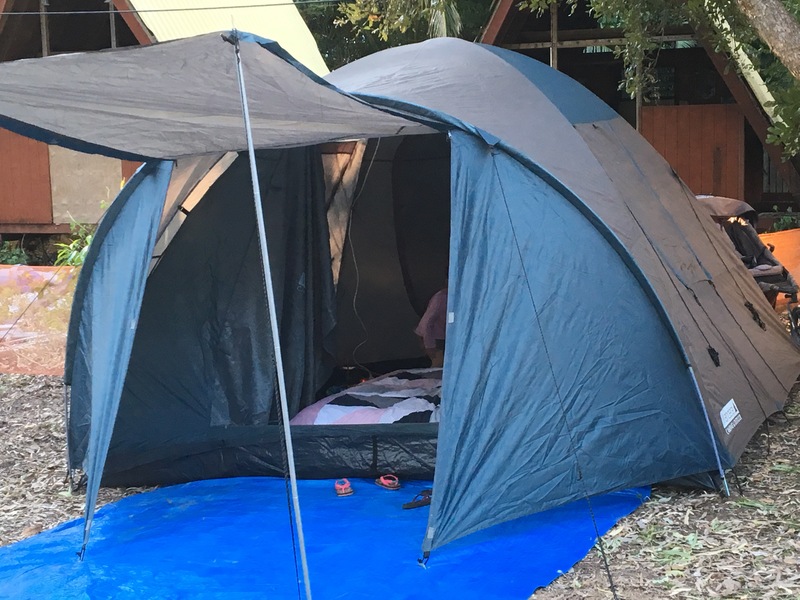 The Platypus Bush Camp is not by any means glamping. It’s rustic and its basic. You need to be set up with your own source of power and be self sufficient, but this place is as close to paradise as you can possibly get. As you enter the camp you are met by Wazza, who owns the camp. He will tell you he is Santa Clause’s cousin, and he looks just like an Aussie bushie version of Santa. 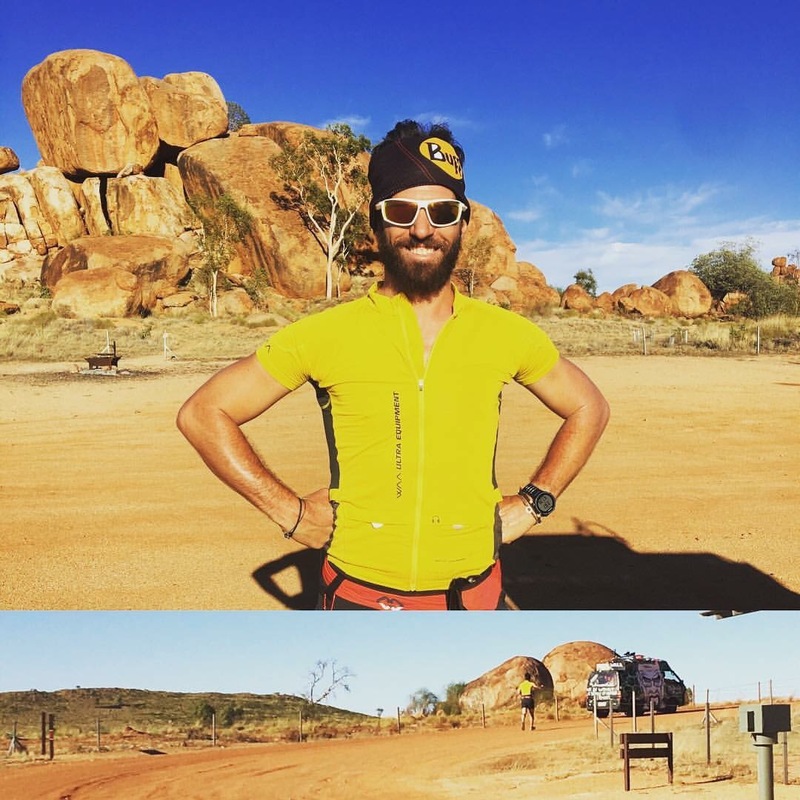 With his long white beard and his akubra hat, flanny, shorts and thongs, he is as Aussie as you can get. He is also one of the most generous men you will come across, so maybe he really is related to Santa? 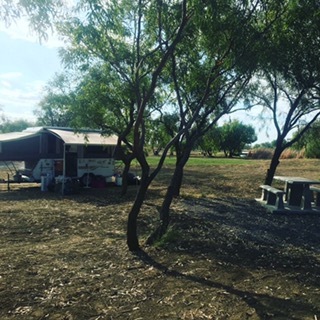 The campsite has a basic camping part where you can park your caravan or set up your tent, it has a camp kitchen that is a basic table and sink set up and access to flushing toilets and showers that are amazing. With just two walls and a door, these showers are beautiful. Looking directly into a rainforest vista its just like showering in the open but private. There is also a couple of hut accommodation options with a choice of a dorm hut or a private hut. Again these huts are fairly open, because from the beds of the huts you can look directly into one of the most pristine, clear creeks I’ve ever seen and if you are lucky, watch the cheeky platypus play in the water below you. We saw a platypus playing right near the honeymoon hut but I unfortunately didn’t get a photo of it. I did get a photo of a couple from a larger colony up the mountain a bit at Broken River which were frolicking around in the middle of the day! Wazza later imparted the information that its currently breeding season and its common for them to be out all day during breeding season. Usually you can only spot them early morning or at dusk. 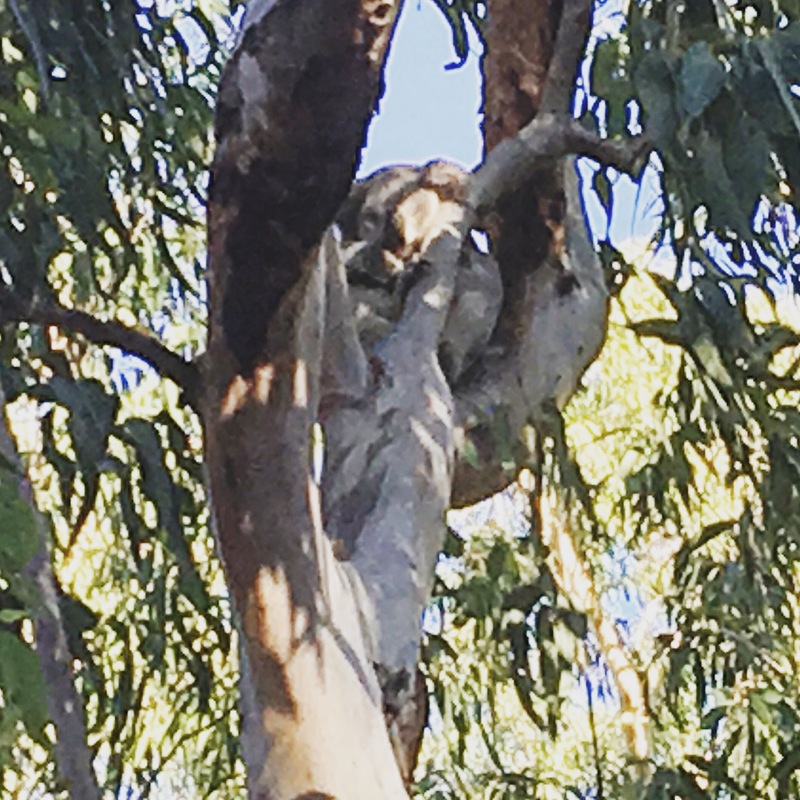 We have seen a platypus before in the wild up at Carnarvon Gorge but this was something special. They weren’t nearly as shy and they were quite a few just swimming around and popping up and down. Even Avalon spotted them easily. While the area is famous for platypus viewing, it also has some of the most spectacular waterfalls and trails I’ve seen. The Araluen Falls are a 3km return hike which the girls easily did. They were rewarded by the power and the vision the biggest waterfall they had ever seen. It was spectacular. In warmer months you can also swim under the falls. I ran it the day before to make sure the girls could do it and it was a good 6km run from the camp. The other track is a bit longer and much harder. One of the hardest tracks I’ve ever done in fact. Its only around 10km from the camp and back but it includes a river crossing, which in hindsight I really shouldn’t have done at the time. Wazza told me off for doing it alone. The river was flowing fairly fast and in places it was knee height but to see the Wheel of Fire at the end of it was incredible. Again in the warmer months its an amazing swimming hole. The area has recently had a large amount of rain and that’s why all the rivers are flowing so much at the moment. Of course we also celebrated Marla’s 2nd birthday while we were here, and while there isn’t a lot around the Gorge there are a couple of cafes to choose from. We had lunch at the Ulysses Garden Cafe, which is named after the Ulysses butterfly which we did indeed see flying around the area with its amazing blue wings. The food here was amazing, local organic produce, with the best mango ice cream ever! I highly recommend going in to see Lorraine and sampling the amazing food. On the weekend they also have live music, which I unfortunately didn’t get to hear but I’m told is a lot of fun. We really loved this place. It was an incredible experience to be off the grid, and having such an amazing experience at such an untouched site. Its highly likely we will be back there sooner rather than later. If anyone is passing through this area I recommend staying here. 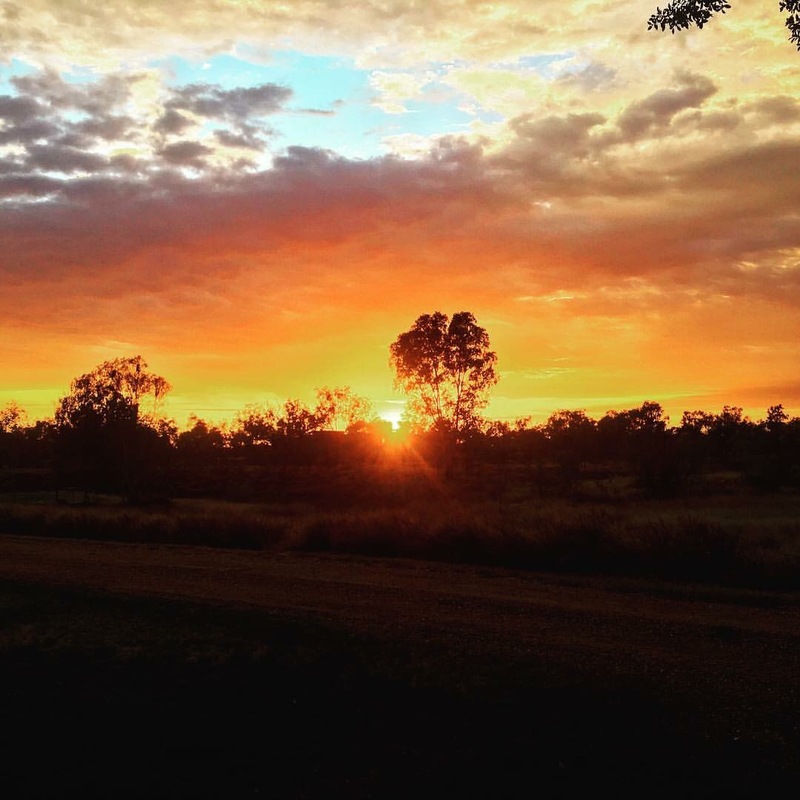 The last few days we’ve spent some time in Rockhampton. We decided to have a complete opposite experience to recent ones and stayed at a Big 4 Discovery park so we could have access to swimming pools, a gym and on site playground. The pool was fantastic. Amazingly warm and the girls were over excited to be back swimming in a pool again. I think Marla might have actually drunk half the pool water while she was squealing with excitement. Unfortunately I couldn’t access the gym because it’s not open until 8am. That’s way too late to start a workout. 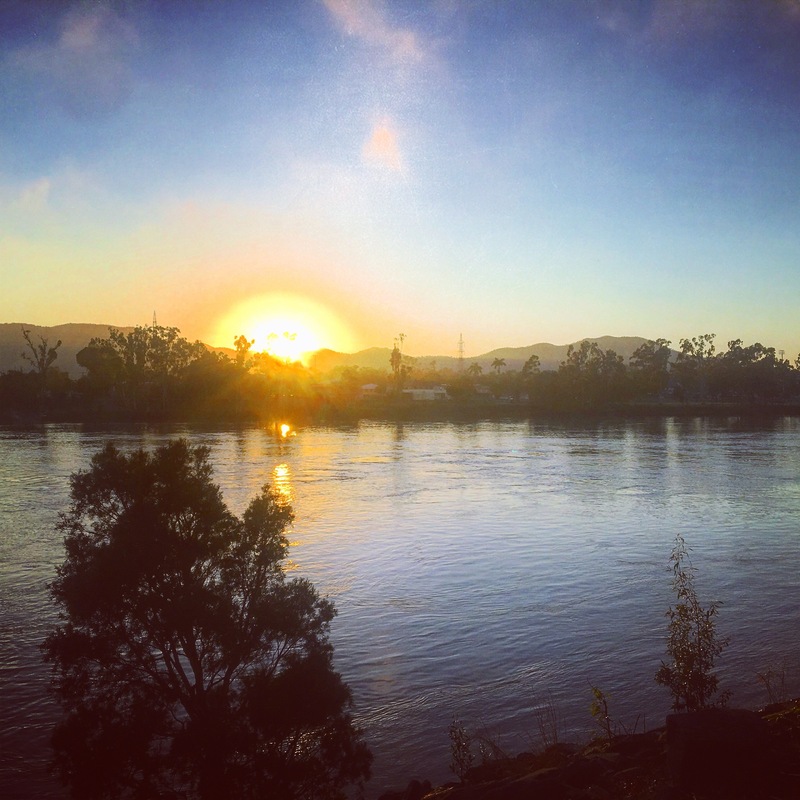 I got a run in on Monday around Rockhampton and the Fitzroy River. This wasn’t the best running experience I’ve had. I got approached by a group of inebriated men on the riverbank which tainted my experience a bit. Being Monday morning there were a lot of people around so it was fine but it shook me up a bit. However this didn’t take anything away from the amazing experience we had visiting the Botanic Gardens, the free zoo and the Capricorn Caves. 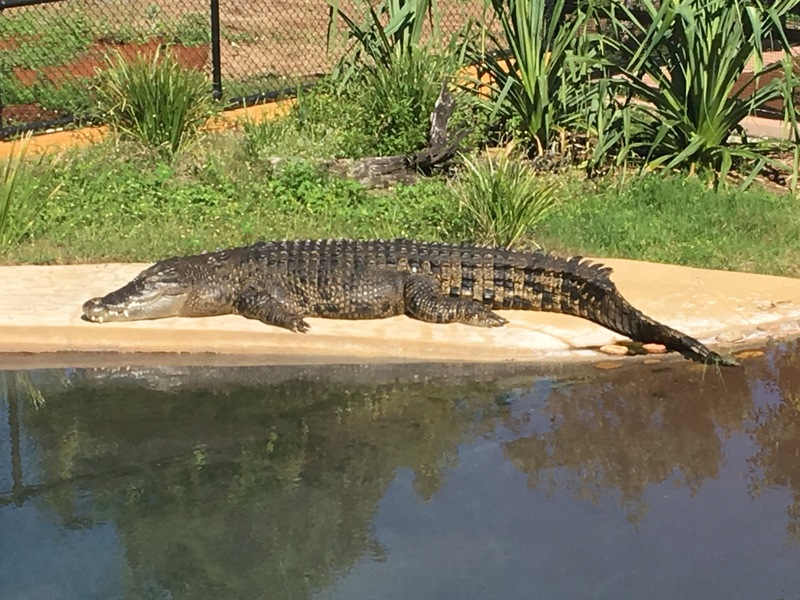 Yes Rockhampton also has a free zoo. This was a bit bigger than the one in Bundaberg and the girls loved it. 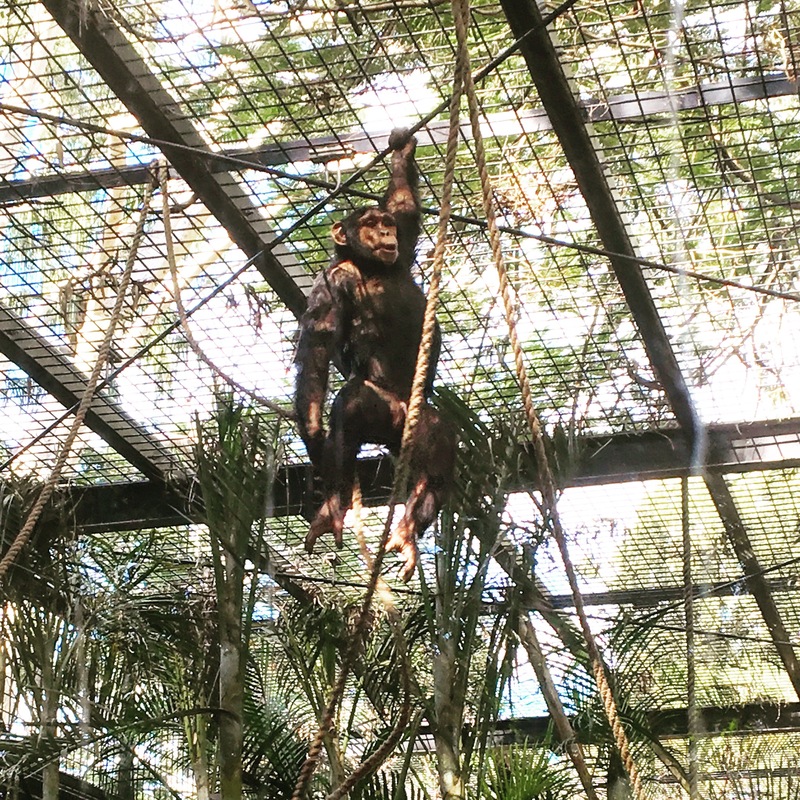 The apes showed off swinging around and climbing the trees, the girls howled with the Dingoes, we chatted to the keeper about the Cassawarys and were amazed at the colour of the Cassawary eggs, we saw the big croc and Avalon thought the otter was very cute. After lunch we headed to the Capricorn Caves. This is probably one of my favourite experiences so far. 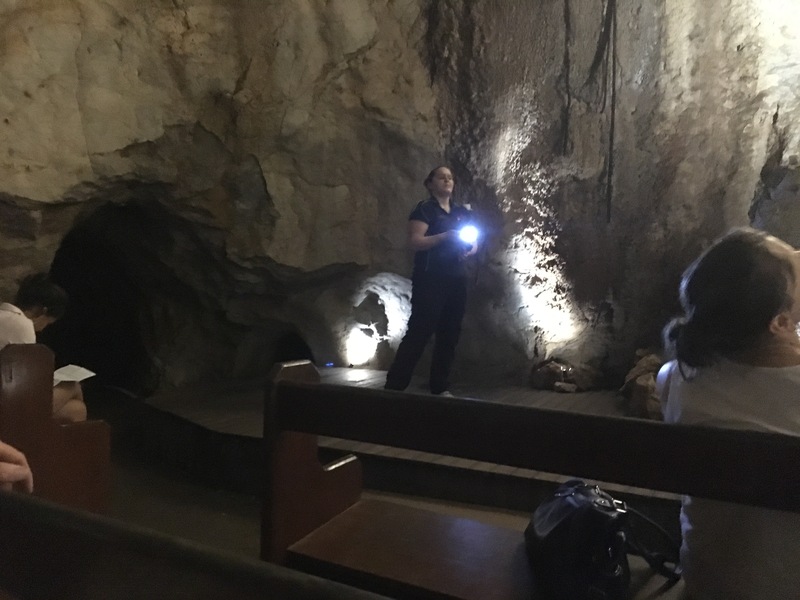 We did the basic tour which went into the bigger vestibule caves and the Cathedral Cave. 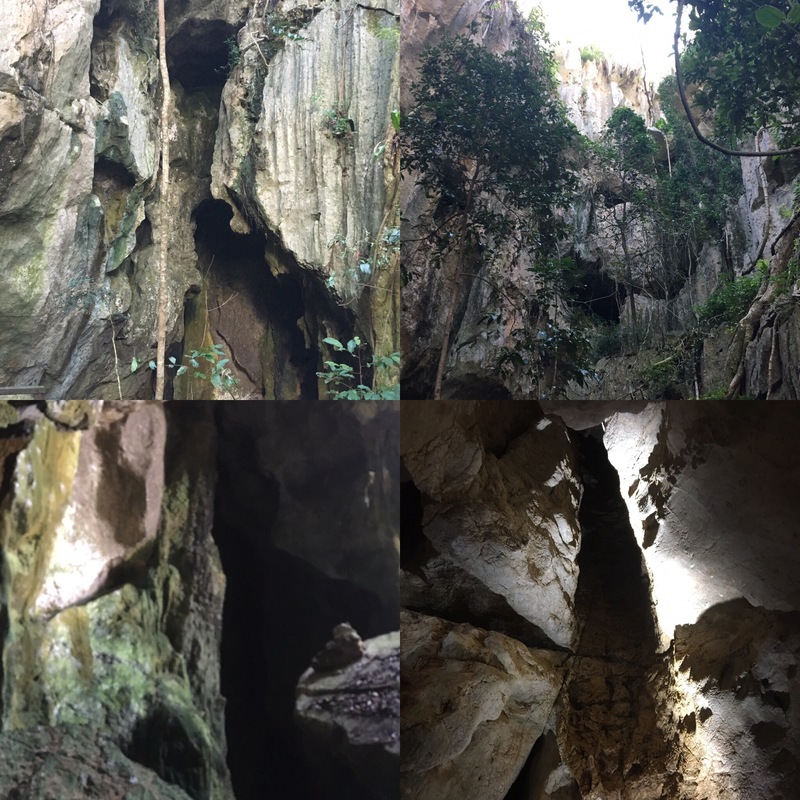 The guide told us these caves were dry caves so although the have stalagmites and stalactites they only grow 1cm every 100 years as opposed to wet caves that grow 1cm every year. There is also the patterns and effects from what is referred to as cave coral. 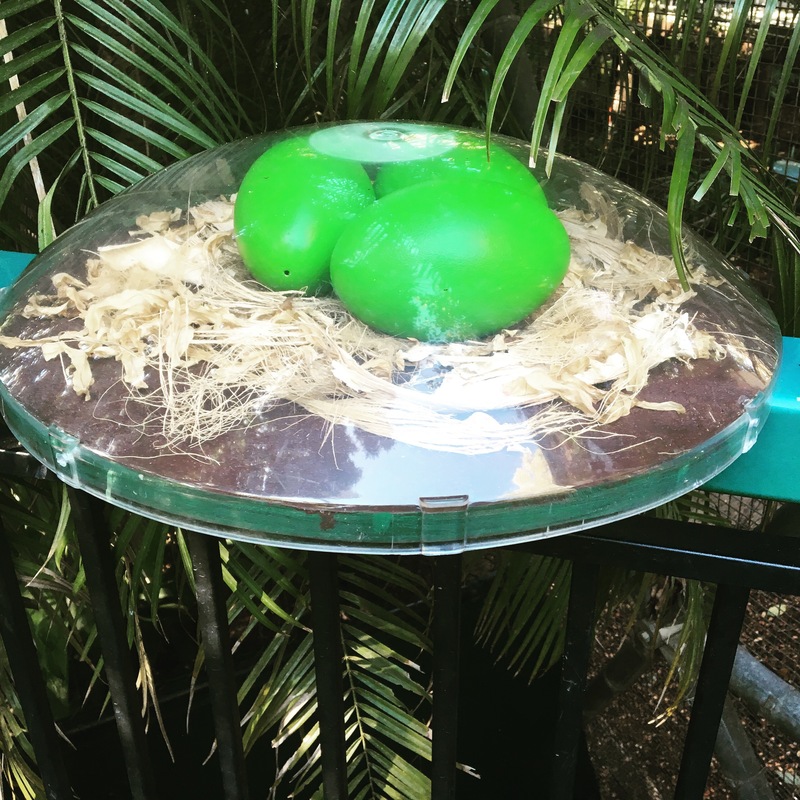 There is a colony of bats that live in there that she said often will come out and fly around tour groups, we unfortunately didn’t spot any. The most incredible part of the caves is the Cathedral. It’s actually set up like a small church cathedral with pews and candles and they regularly have weddings in the Cathedral. It would be an incredible place to get married. The piece de resistance however was the perfect acoustics in there which were demonstrated by music the guide played for us. The song was some generic popular song I didn’t really know but the sound in that cave stirred up so much emotion I was actually pretty close to tears. They hold Opera in the Caves as a semi regular event and it would be an amazing experience. The other example of the acoustics was an invitation to someone in the tour group to sing so we could hear the sound with one voice. One of my proudest mummy moments is that Avalon, to my surprise, got up on the stage on her own in front of these strangers and sang her little heart out. She sang a song from the Peter Pan movie and I almost burst with pride and I might have cried then. 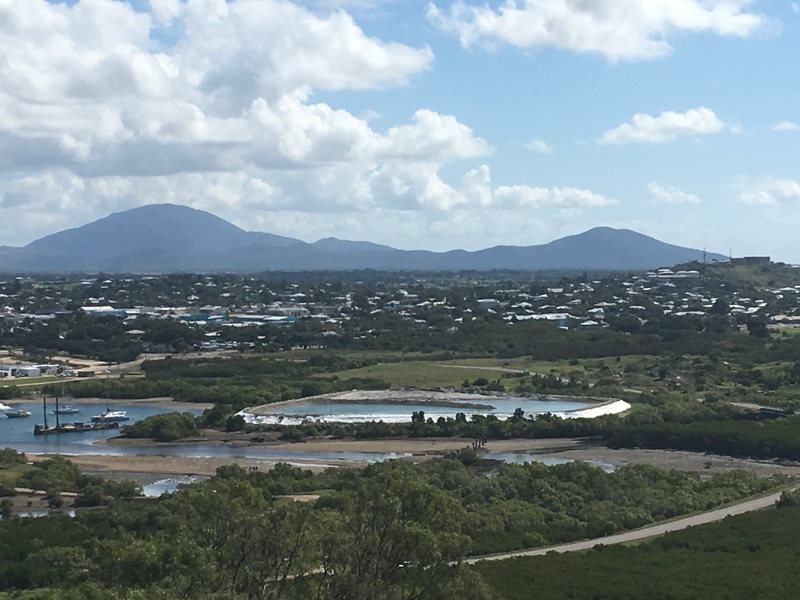 After all that activity on our last day we went over to Yeppoon to have a look and to also catch up with an old school friend who I haven’t seen in 30 years! Was great to catch up with you Kylie! We will definitely see you next time we pass through. 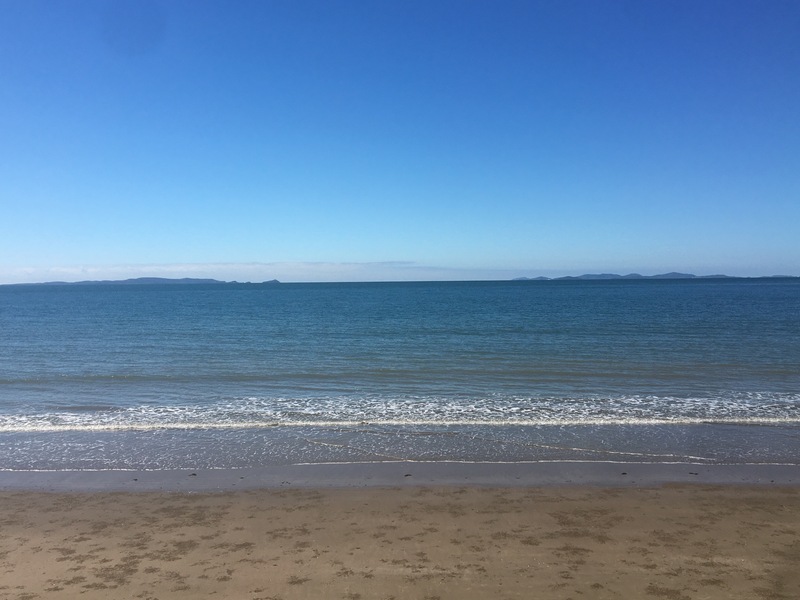 Yeppoon is lovely and it was a pretty clear day so we could easily see Great Keppell Island and what is now called Pumpkin Island but used to be Four X Island. 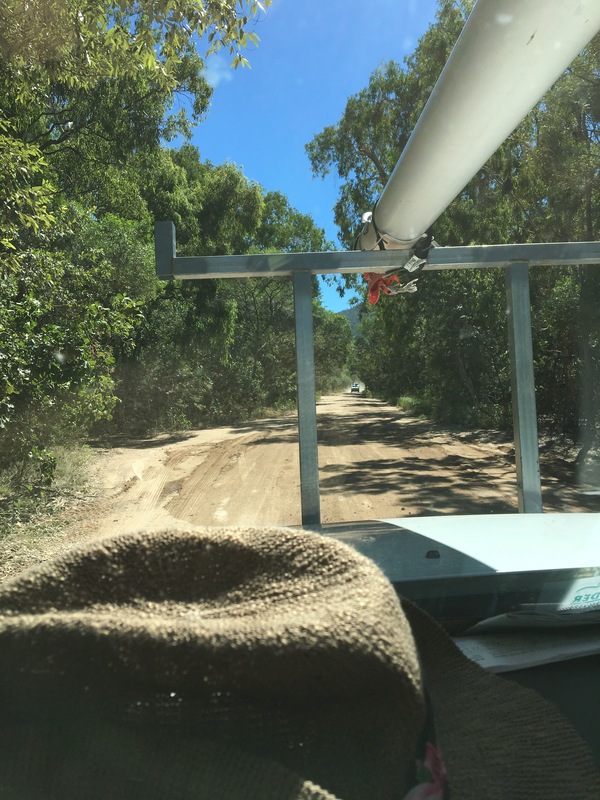 Now we are on the road again and heading to Platypus Creek west of Mackay. We have been living on the Sunshine Coast for close to three months. We’ve made some amazing friends and discovered an incredible lifestyle somewhere that its highly likely we could easily live long term. It was hard to say goodbye but we are not ready to stop adventuring yet so we packed up our lives and hit the road again. Our first stop was something a little different. We decided to try out a website called Youcamp. 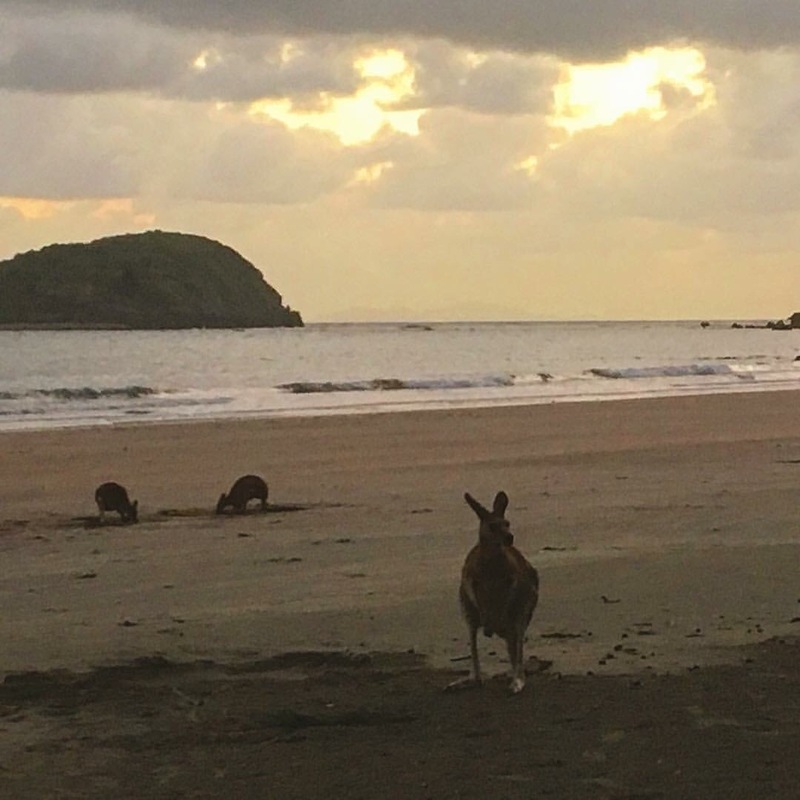 Youcamp’s philosophy is that they “connect landowners with explorers, adventurers, private land thrill seekers, picnic aficionados, silver nomads, travellers and campers across Australia”. Through Youcamp, you can find cottages, farm stays, B&Bs, and campgrounds on private land. 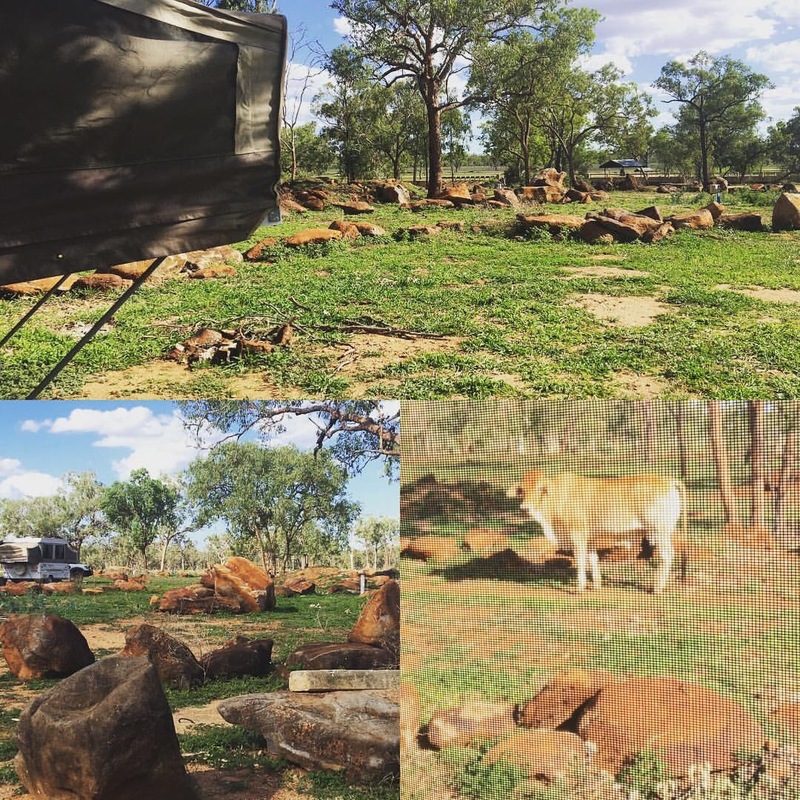 It is an incredible way to have a different experience to caravan parks and commercial camp grounds. Our first Youcamp experience was a beautiful property called Midskinrick Lodge. Located around 70kms out of Bundaberg on the Baffle River. There is the glamping option of staying in the Lodge or you can set up your own camp on the edge of the dam with access to power or down on the river bank if you are self contained. We were right on the edge of the dam. It meant we had to be hyper vigilant in watching the girls but so worth it. Hosted by Di and Doug, who bought the property in 2008, this is a great place for all types of campers but especially those interested in fishing the river. There is a very eclectic mix of people around at any time and we enjoyed hearing the stories from the other campers about where they were from and where they were heading to. It’s one of the best things about this lifestyle, and seriously one of the best things about travelling with kids is that they are an amazing icebreaker to meet people. Other than inviting themselves into random campers caravans, the girls loved feeding the turtles in the dam, which were just metres from our caravan. This experience was such a change of pace from the last few months. We had a day trip to Bundaberg where we went to the free zoo in town. 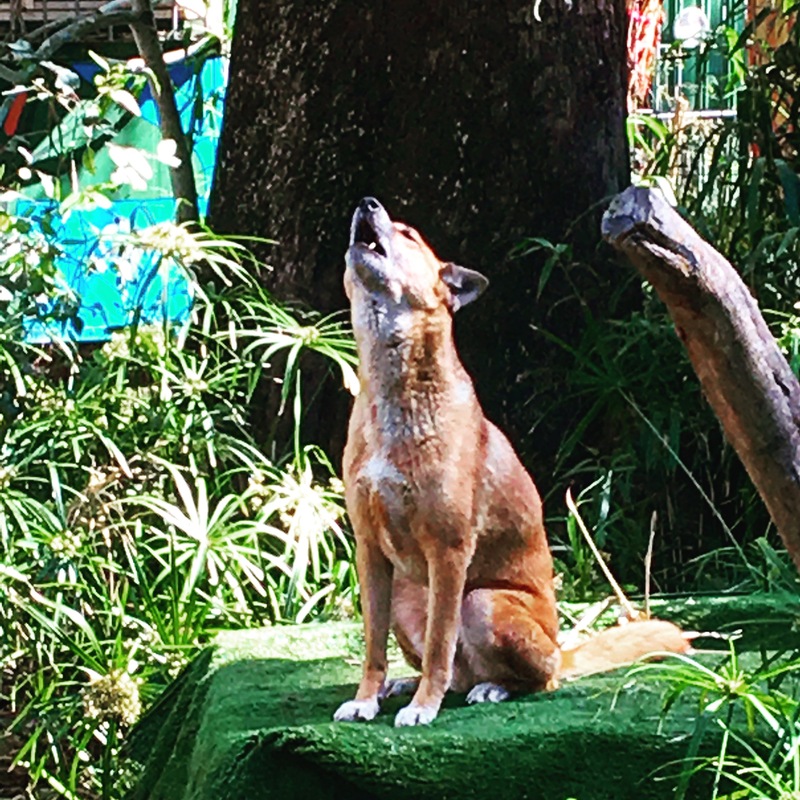 It was pretty amazing to see the dingoes being walked around the park while we had lunch, just like we’d walk our own dogs for their daily leg stretch. We had a drive up to the Hummock Hill lookout, which is pretty deceiving. An extinct volcano, is the highest point in Bunderberg. We almost missed it but the view once you are on top is impressive. You can see from the ocean, right back across the sugar cane fields. The next day we went to a gorgeous beach on the other side of the Baffle River called Rules Beach. Its a beach where the gorgeous sea turtles nest each year, and while its not nesting season at the moment the girls had a great time pretending to be turtles scurrying up the beach to make a nest in the sand dunes for their eggs and collecting shells. But the beach I was probably most impressed by was on our trip up to Gladstone where we stopped for lunch at 1770. O.M.G. I was aware of the history of this place. It is the site of the second landing of Captain James Cook, obviously in 1770. But I wasn’t expecting it to be quite as spectacular as it is. We had lunch, we had a swim in the shallows at the beach, yes its the middle of winter but the weather is amazing, and then we went up to the headland to look out to where Captain Cook came in to land. The landscape is incredible. You look out to the Coral Sea and its seriously some of the most beautiful colours of blue I’ve ever seen. We tried to change our plans and stay a couple of nights but the camp ground was at capacity. No room at the inn for us unfortunately so we made our way up to our next stop at Gladstone to catch up with some friends for a couple of days. 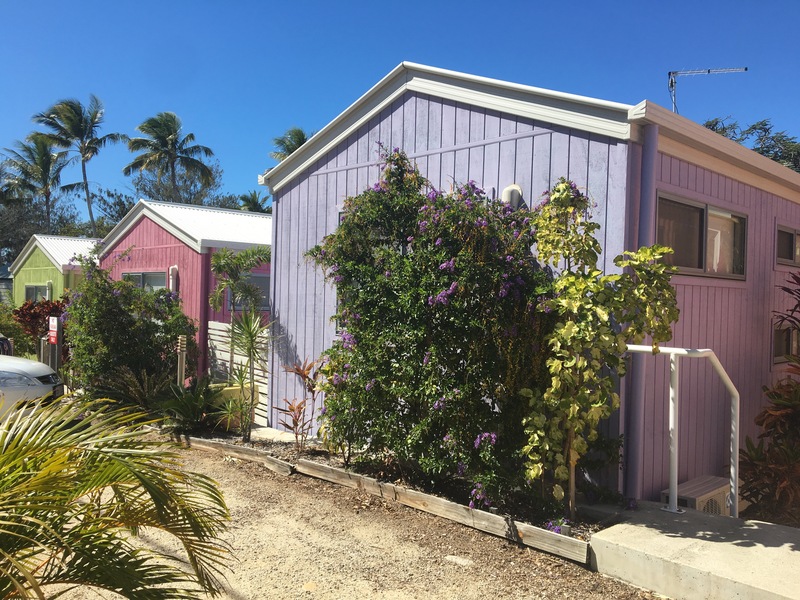 We have another property booked through Youcamp just out of Mackay so we’ll do another update soon. Until then.